Product #15931 | SKU HPRC1300MBLACK | 0.0 (no ratings yet) Thanks for your rating! 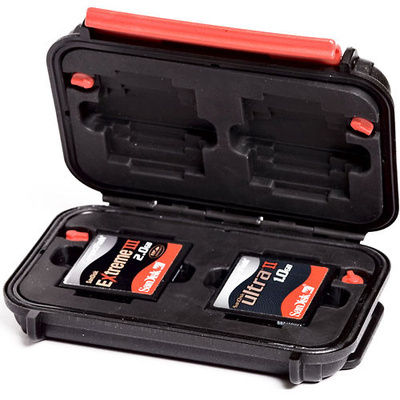 The HPRC 1300M Case (Black) is a crushproof, watertight case which has a universal card holder interior for holding four CF memory cards or up to 12 SD, miniSD, Memory Stick or XD memory cards. It is made of TTX01 plastic resin compound that is used in all HPRC cases to deliver military-grade durability and watertight protection.